A little bit of info about the festival...The Great American Food and Music Festival is a celebration of great American food, chefs, musicians, and wine and beer makers. Sunday's events will feature the Food Network's Paula Deen, The Neelys, Top Chef's Tom Colicchio, and star of Ace of Cakes, Duff Goldman. (Philly, PA), Turtle Alley (Gloucester, MA), All Star Sandwich Bar (Cambridge, MA), and Zoe's Cupcake Café, a nonprofit bakery benefitting teen mothers (Teaneck, NJ). Not to mention music from Buckwheat Zydeco, Southside Johnny & The Asbury Jukes, Texas singer/songwriter Bob Schneider and Season 6 American Idol Finalist Melinda Doolittle. Tickets are still available for purchase online but one lucky, randomly selected reader will get a pair of All Access tickets to this weekend's fest. Each of these All Access tickets include: "Reserved Seat, Exclusive backstage meet-n-greet party with celebrity chefs and performers (Guests will have their own "Green Room" for the entire event)... plus All Food and Beverage from Any of our purveyors served to you backstage, Admission to the Grand Tasting areas for beer and wine sampling, and VIP parking." The All Access tickets are $600 each. Pretty sweet! Here's how it's going to work... I've tweeted the link to this post. To enter, retweet the link to your followers and post a comment here with the link to your tweet. You can enter as many times as you'd like, but you have to post a separate comment and separate link for each entry. We'll randomly select and post the winner tomorrow. Please also post your email in the comments so we can contact you quickly if you're the winner, as we'll need to give your name to the PR folks so your tickets can be held at will call. 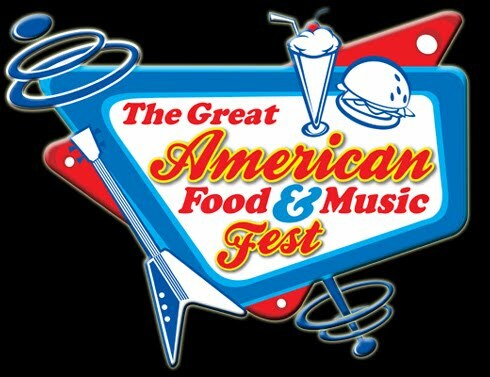 Remember this festival is this Sunday, June 13th at the New Meadowlands in East Rutherford NJ. You'll have to get there on your own steam, but come on, for All Access tickets to a great event I think it's worth it! What are you waiting for? Get tweeting! Thanks to everyone who participated in this last minute giveaway! Thanks to the wonders of random.org, our go to random number picker (yes, I am a statistics geek), @lindsayishere is our big winner. Enjoy!